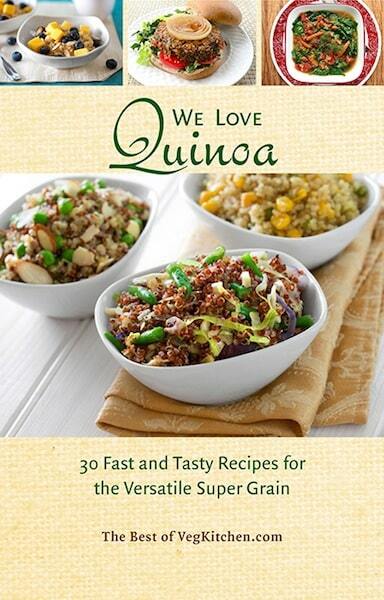 We Love Quinoa (pdf e-book) presents VegKitchen’s 30 most widely viewed recipes, with options such as a hearty breakfast bowl, tasty salads, lively pilafs, heartier stews, and sandwich-type fare. 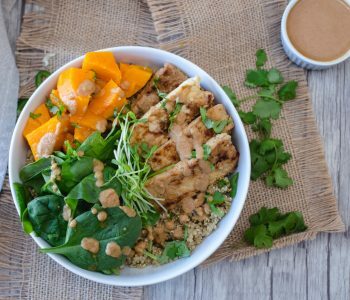 These days, everyone loves quinoa, the super-nutritious and versatile grain food (botanically a seed) native to South America. 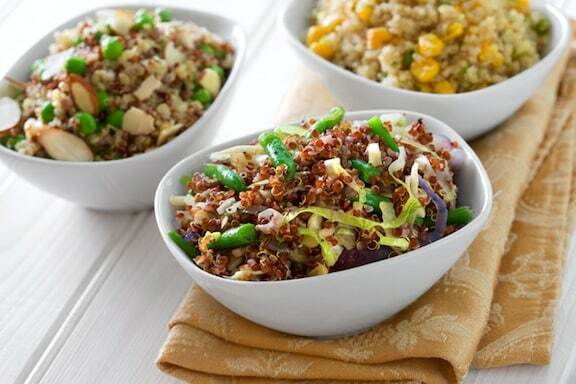 Versatile and mild-flavored, quinoa is also great for busy cooks, as it cooks up in only 15 minutes and can be used in so many ways. Featuring 23 color photos, a full listing of recipes follows. This compact collection is part of VegKitchen’s “Best of VegKitchen” e-book series. 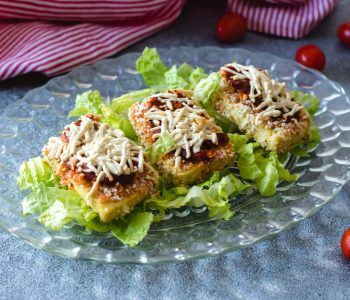 Featuring selected recipes that have proven most popular on the site, these compact e-books let you to delve into specific food niches without poring through lots of web sites (or even just VegKitchen, which in itself has thousands of recipes!). Convenient for viewing on your computer or printing out, this e-book is not formatted for devices such as Kindle, etc. To order as an instant-pdf download that you can view and print from your computer: Once you click “Add to Cart” (below), you’ll be taken to a checkout page. All orders are processed though PayPal. Once payment has been made, you’ll receive an e-mail with a link to an instant download. Chances are that you already have Adobe Acrobat reader on your computer, but if not, you can download it for free by following this link. Cooked with it first time,used rice cooker mushrooms and fresh veg with korma paste and coconut cream.yummy gonna use cold and make sushi. Is there any chance of getting this book in a hard copy? Kam, that is such a flattering question. This book only exists as a pdf; but you can create your own hard copy by printing it out on 3-hole punched paper and popping it into a narrow ring binder. Preheat oven to 400, grease 12 muffin tins. Mix all ingredients and put 1 TBS in each tin – pack it in. Bake 12 -15 min. Remove and top with more cheese and broil about 1 min. What a great idea, Teri — thanks so much!